Amazon Great Indian Festival sale offer Samsung 64GB 100MB/s Micro SDXC Memory Card worth Rs. 2899 for Rs. 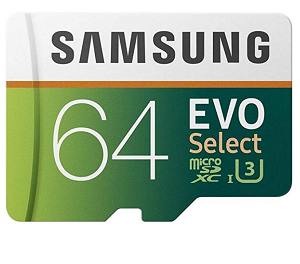 949 Lowest Price Online,Samsung 64GB 100MB/s EVO Select Micro SDXC Memory Card Lowest Price Online on Amazon. Choose the payment method and complete the payment.